Unibridge® has been pre-designed against a range of international loads e.g. Eurocodes, Australian standards, AASHTO and British Standards. The bridge is designed for a 100 year life span and 1,000,000 fatigue cycles of the appropriate Eurocode vehicle. 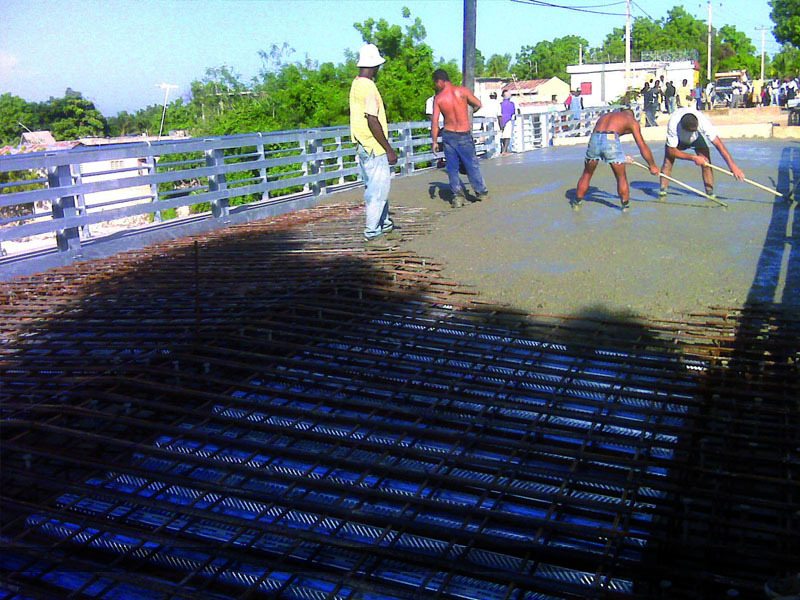 With the option of either a steel deck system with anti-skid coating or concrete deck applied in-situ or precast panels, Unibridge® can be built to the specific requirements of a country or region. The main structural members of the bridge are under the deck level thereby eliminating the possibility of vehicles colliding with the structural members. Parapets are provided which are designed in accordance with EN 1317 type H2 and vehicular collision with the parapets will not induce failure to the structural members of the Unibridge®. Unibridge® is protected against corrosion by painting and galvanising. The main structural elements of the Unibridge® i.e. prefabricated girders, are painted with a 3-layer zinc epoxy system, and other bridge components are galvanised in accordance with ISO 1461. 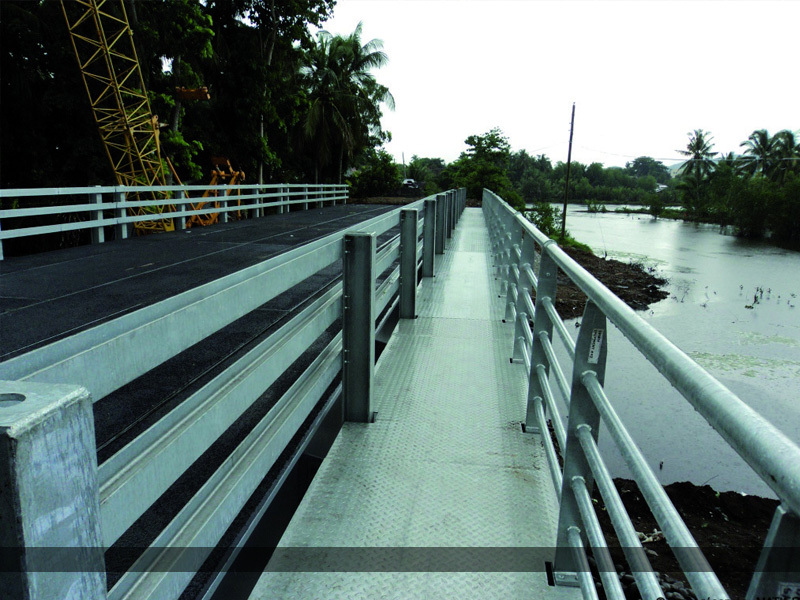 Footwalks can be added to one or both sides of the Unibridge® without affecting the load carrying capacity of the bridge. With our experienced team of designers and engineers we can provide expert guidance to provide you with the right solution - please contact us to discuss your requirements.